There’s nothing like a crisis to drive market prices. This time around, with the very future of currencies and nations directly intertwined, gold and silver are poised to be the very bastion of neutrality and relative safety. A Switzerland amid a global currency war. And now it seems that silver is catching up. The spot price has been steadily gaining in the wake of the global economic uncertainty, and it suddenly hit a 22 month high at just above $19 per ounce. The chances appear strong that the rally will continue, at least in the short term. Silver breached the $19 an ounce level to reach the highest since September 2014. 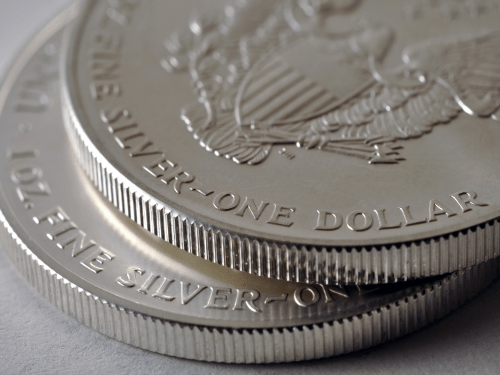 Silver, which has gained more than 8 percent this week, is on track for its best week since August 2013. “Gold has been on an uptrend and silver tends to catch up,” said Brian Lan, managing director at Singapore-based gold dealer GoldSilver Central. Gold rose on Friday and was headed for its fifth straight weekly gain, boosted by a weaker dollar as the safe-haven asset continued to be in demand despite an increase in risk appetite post the Brexit vote. “Looking ahead, it seems that gold will remain one of the major beneficiaries in the current backdrop, as heightened volatility and lingering uncertainty will keep investors’ risk appetite in check,” the bank [Societe Generale] said in a note. Apparently, the value of gold and silver have returned into plain view as a safe haven from the currency swings going on with the pound, and as a result of the Brexit vote. The potential for a rate hike at the Federal Reserve, and the prospect of negative interest rates have also been turning interest to gold and other assets. With the longer term prospect of an truly serious economic collapse in the United States, gold and silver will continue to make sense as a hedge against banana republic inflation, as well as a means to barter and trade with. Though that kind of crisis seems alien to our happy consumer society, the reality is all too present in Venezuela. Could it happen here? Hopefully you’ll have a humble stash of bullion in case we ever find out for ourselves. Copyright SHTFplan and Mac Slavo. Originally appeared on www.shtfplan.com.